RANCH STYLE HOME WITH ATTACHED GARAGE AND PATIO IN BACK. ENTER INTO LARGE LIVING ROOM WITH TONS OF LIGHT. 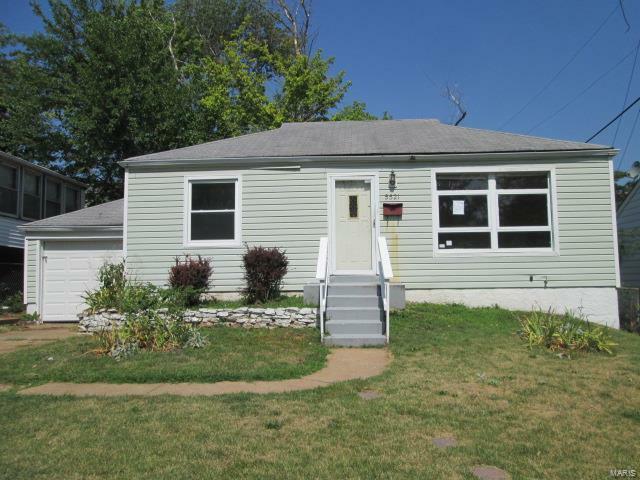 HOME FEATURES 3 BEDROOMS AND FULL BATH ON MAIN LEVEL AS WELL AS EAT-IN KITCHEN WITH TONS OF CABINETS. BASEMENT HAS SOME FINISH. PATIO OVERLOOKS PARTIALLY FENCED BACK YARD. TAKE A LOOK TODAY!!! Please refer to HUDHomestore for the most recent bidding Period details and information on this property. HUD Acquired Property. Property being sold 'AS IS'. All utilities are turned OFF. Please, use discretion when showing and bring a flashlight. 70 to Lucas and Hunt North to right on Eunice to right on Sunbury, property on the right.